Today at CES 2018, Garmin unveiled the Forerunner 645 Music as the latest addition to popular line of GPS sports watches. As the first Garmin wearable with integrated music, the Forerunner 645 Music keeps pace as a premium training and lifestyle monitoring device with a bevy of cutting-edge physiological insights powered by the Firstbeat analytics engine. Beyond simply recording what the user does, Firstbeat powered features onboard the Garmin Forerunner 645 Music turns the focus towards how the wearer is personally impacted by their activities and lifestyle. At the core of this user oriented approach are features like Training Status, Aerobic and Anaerobic Training Effects, and All-day Stress tracking. 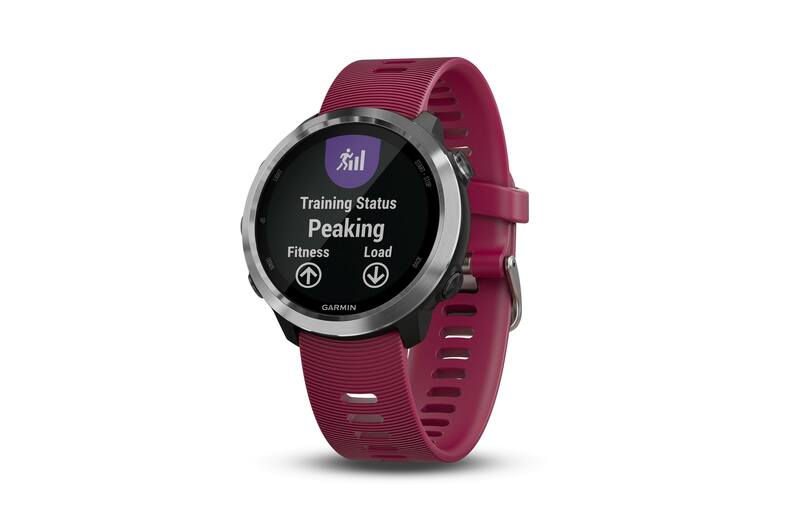 Training Status, which first appeared in the Forerunner 935 and Fenix 5 series devices last year, examines changes in cardiorespiratory fitness (VO2max) in light of the user’s overall training load and training history. As a result, users can see in clear, easily understood terms whether training efforts are productive or unproductive, are producing states of detraining, recovery, maintaining, or peaking, and even be notified when they are overreaching. While Training Status gives Forerunner 645 Music unlock big picture of training efficiency, the combination of Aerobic and Anaerobic Training Effect metrics delve into the specific impacts of each specific session. Aerobic Training Effect describes the influence your workout will have on the development of aerobic performance capacity, while Anaerobic Training Effect reports how training activities will impact more explosive performance capabilities, like the ability to perform sprints repeatedly. Using heartbeat data as a window into the workings of the autonomic nervous system, All-day Stress tracking captures both the presence and intensity of physiological stress in the body 24/7. As a result Garmin Forerunner 645 Music users can see their body is responding to the challenges of life and environment, and work to offset stress with adequate recovery.